Economic and business growth is driven by the continuous re-evaluation and optimization of current policies and practices. By implementing more effective procedures, businesses can increase their levels of competitiveness. 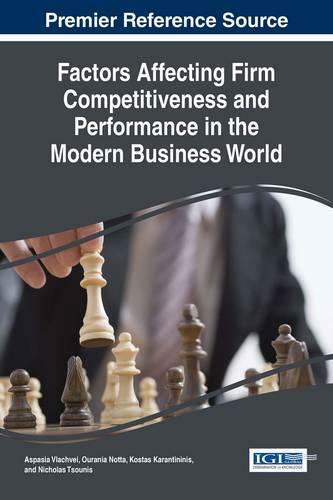 Factors Affecting Firm Competitiveness and Performance in the Modern Business World is an authoritative reference source for the latest scholarly research on the most appropriate measures and initiatives for firms to become more competitive within various sectors. Incorporating interdisciplinary perspectives through theoretical foundations and real-world case studies, this book is ideally designed for professionals, practitioners, upper-level students, policy makers, and managers interested in the optimization of business performance.